Black Friday Sales Live Online NOW! 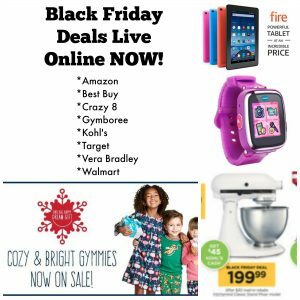 You are here: Home / Black Friday 2016 / Black Friday Sales Live Online NOW! HAPPY THANKSGIVING! Enjoy dinner with your family tonight and skip the crazy lines in the stores! Many of the Black Friday sales are online! Please keep in mind that all prices listed were based on the time of posting. Some items have limited availability and will sell out quickly and pricing can also change at any time. ALWAYS verify final pricing before completing a purchase! Amazon has TONS of Black Friday deals right now! Save BIG on Amazon Echo Devices! The Echo Dot is just $39.99! The full size Amazon Echo is on sale for $139.99! You can also get Amazon Tap for just $89.99! 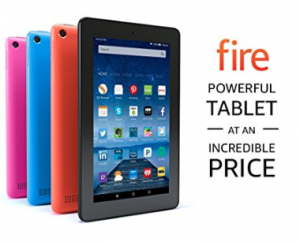 You can also score awesome deals on Kindle and Amazon Fire tablets! 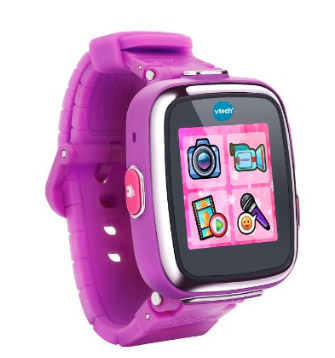 The VTech Kidizoom Smart Watch is on sale for $29.90 today! 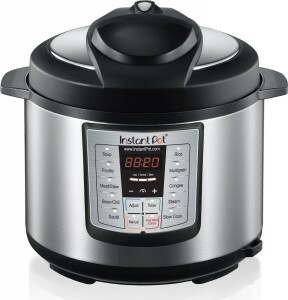 Regular retail price is $44.88! Share the gift of reading and save $10 off a book purchase of $25 or more! You will need to use the code HOLIDAYBOOK at check-out and it’s one time use per account. Gymboree has started their Black Friday sale online! The popular Gymboree Gymmies are on sale today for $10 and you can score free shipping with no minimum purchase requirements, too! They’ve got lots of super cute Christmas styles to choose from, and they won’t last long! Shop now to get matching holiday PJs for your kids! 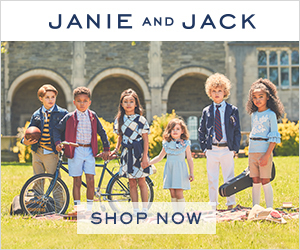 They’ve got styles for boys and girls ranging from 3-6 months to size 12! You can also save 50% off everything else in the store, too! 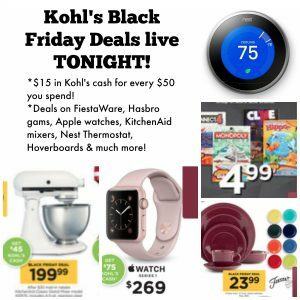 Many of the Kohl’s Black Friday deals are live online, too! Earn $15 in Kohl’s cash for every $50 you spend and get free shipping when you spend $50, too! There is a 15% off code also! 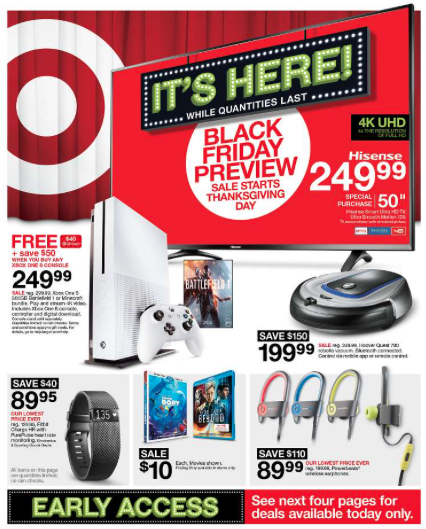 You can get Early Access to some of the Best Buy Black Friday deals, too! Save 50% on Pokemon sets! 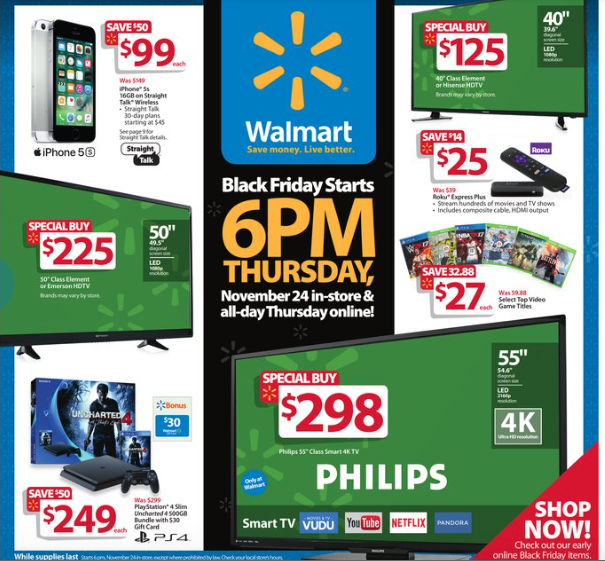 The Walmart Black Friday ad is live! 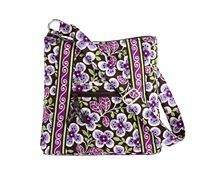 Vera Bradley has started their Black Friday sale online! Save 50% on select items and get FREE SHIPPING with no minimum purchase requirements, too! 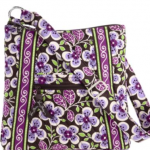 Zip ID cases only $6 – these make great teacher gifts! Totes – starting at $34! Crazy 8 has started their Black Friday sale, too! Save 40% on EVERYTHING and get free shipping, too! What other deals have YOU found today? 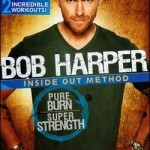 Bob Harper and Billy Blanks Tae Bo DVDs only $5.99 shipped! 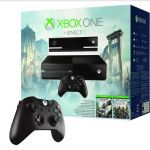 Xbox One Black Friday Top Deals! 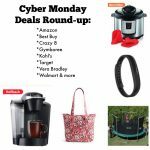 Online Deals for the Day: 12/20/08 – great deals for last minute shoppers!